A new trillion-frame-per-second camera helps researchers see certain ultra-fast events for the first time ever. Keiichi Nakagwaka, along with a team of colleagues from various Japanese research institutions, created this new camera after having needing to learn how acoustic shock waves effected living cells but had no way to it. 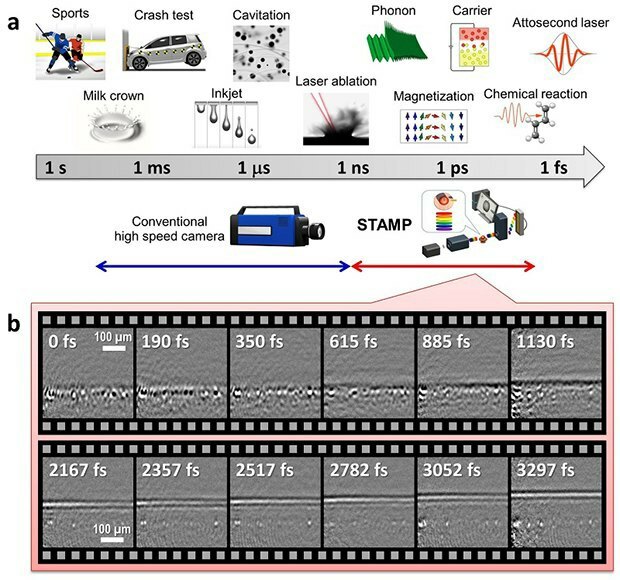 They invented a high-speed camera called STAMP (Sequentially Timed All-optical Mapping Photography) that can record events at a rate of more than 1 trillion frames-per-second. 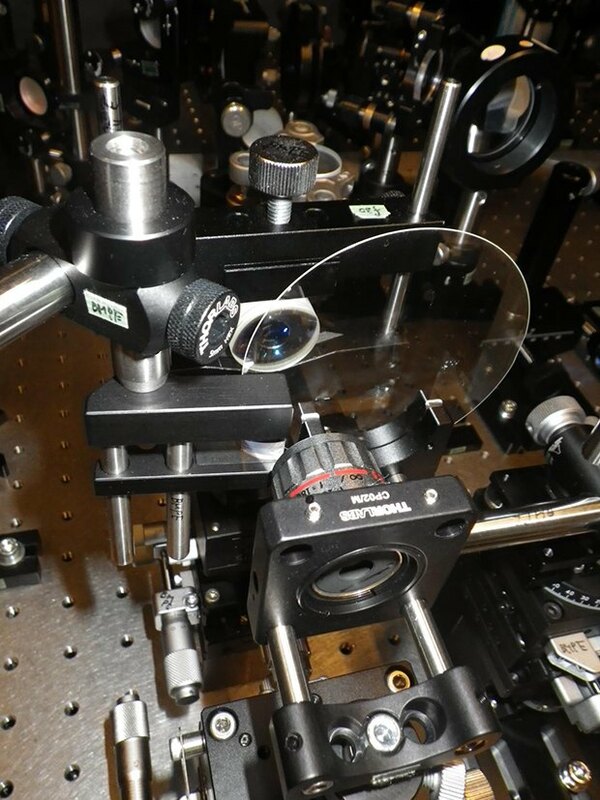 At more than one thousand time faster than typical high-speed cameras, STAMP could potentially document a plethora of ultrafast physical and biological phenomena for the first time - like an event in which a thin laser beam can make solid material explode into hot plasma. The camera works by dispersing an ultrashort pulse of light into different color flashes (similar to how foggy skies can split sunshine into a rainbow) which then hit an object in quick succession. Then, each separate flash of color is analyzed and piecedd together to form a moving picture. Currently, STAMP can only take six frames in a single shot, so its applications are fairly limited. Researchers are now creating a second iteration of STAMP in which the system can take 25 sequential images. They hope the camera will eventually be able to take 100.